Welcome to Heinz Field Hotels. We have been serving Pittsburgh visitors for 9 years now. Whether You're catching a concert or watching the Steelers battle it out, we have the perfect accommodations to fit your needs. Our friendly staff inspects all area hotels and can answer your questions about location, price and amenities. We are your local Pittsburgh experts. 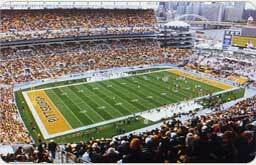 Depend on us to provide a relaxing comfortable stay near Heinz Field! Enjoy your stay in Pittsburgh! Copyright © 2007-2015 Heinz Field Hotels Inc. All rights reserved.